Wear our Autism Awareness Pin at your next autism awareness walk or fundraiser. Hand one out to each participant and allow them to show their support for the cause year-round. 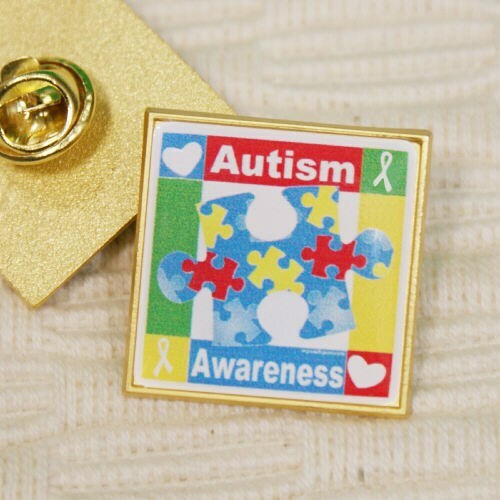 Autism Awareness Products like this pin is great for year-round wear or just for your annual event. Our Autism Awareness Pin measures 7/8". I love my pin. My mom loved hers as well. Additional Info At MyWalkGear.com, we are proud to help make a difference for those diagnosed with Autism! Our lapel pin is one of many Autism Awareness products and accessories that we offer for your walk or fundraiser.